QUICK TAKE: The H2O Driverless AI only requires the user to define a target column and will then automatically identify the appropriate features, select and parameterize the optimal algorithm, present the results in chart format, and enable the user to automatically deploy the new AI/ML model to production. Automatic feature engineering, model selection, and hyper parameterization. 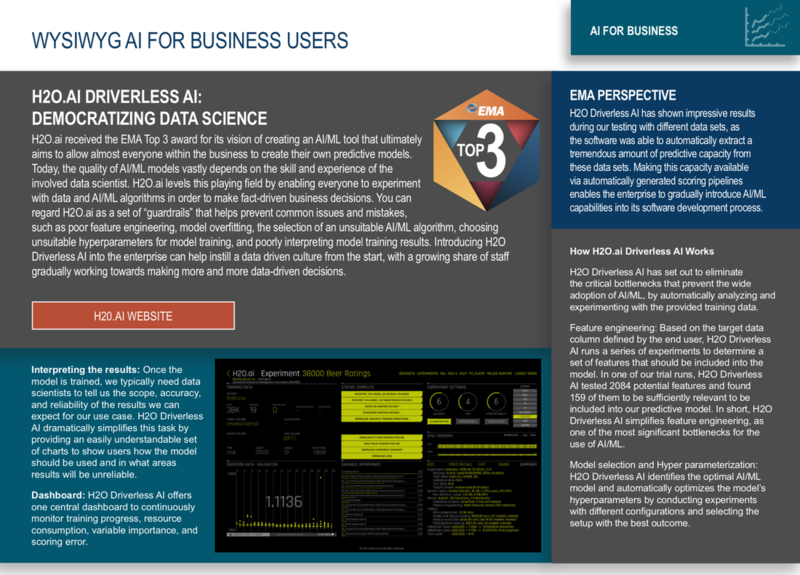 Automatic charts for advanced data insights that help understand the AI/ML model. Includes NLP for semantic analysis.